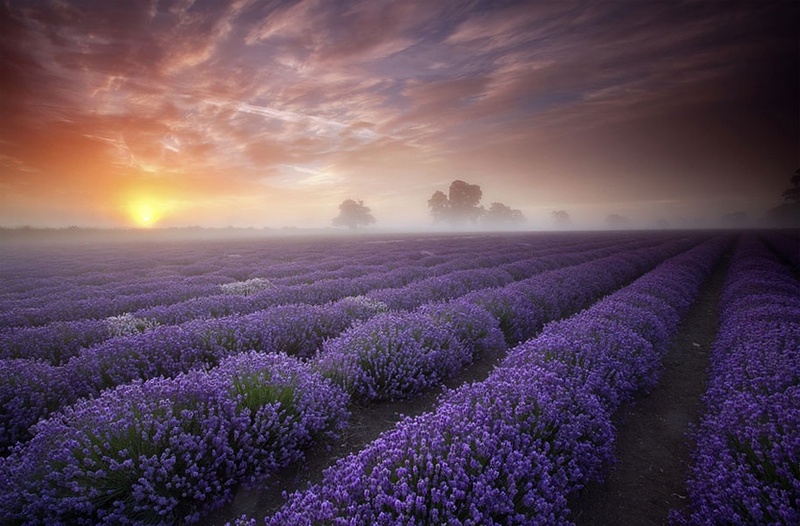 Lavender fields, UK. . HD Wallpaper and background images in the Earth planet club tagged: photo. This Earth planet photo might contain закат восход, закат, and восход.